This exquisitely written novel is a triumph of storytelling that looks with unswerving eyes at a devastating wound in American history, through women whose struggles for liberation, empowerment, and expression will leave no reader unmoved.The polarizing literary debut by Scottish author Ian Banks, The Wasp Factory is the bizarre, imaginative, disturbing, and darkly comic look into the mind of a child psychopath. The Invention of Wings is a coming of age tale about a slave girl, "Handful", and her owner Sarah as well as a history lesson about the time between the early to middle part of the 1800's. Sarah Grimke is the youngest daughter of a very powerful and well to do family in Charleston. For her 11th birthday, Sarah receives Hetty, better known as Handful, as her handmaid. This is a most unwelcome gift for Sarah. She doesn't want her own slave and tries desperately to give her back. But times being what they were, Handful becomes Sarah's cross to bear. The story follows the two women through adolescence and into adulthood and shows the struggles that each of them face. Sarah longs for love but is quite an independent spirit. She battles with both of these strong feelings and in the end her choice is surprising, but given the personality of Sarah, understandable. Handful's journey to adulthood is much the same as Sarah's. Difficult choices had to be made, some that were life or death, but all the while both ladies wanted the same things...freedom. 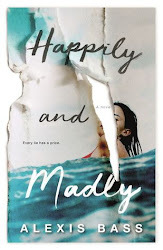 The bond that was forged by Sarah and Handful and the heart stopping ending that showed the love and respect they had for each other made this a very enjoyable read. 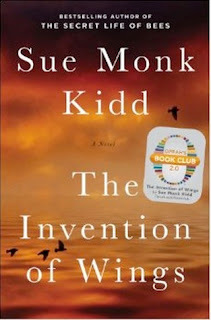 Sue Monk Kidd's first novel, The Secret Life of Bees, spent more than one hundred weeks on the New York Times bestseller list, has sold nearly six million copies, and was chosen as the 2004 BookSense Paperback Book of the Year and Good Morning America's "Read This!" Book Club pick. It was adapted into an award-winning movie in 2008. 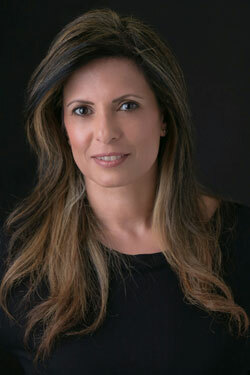 Her second novel, The Mermaid Chair, a #1 New York Times bestseller, won the 2005 Quill Book Award for Best General Fiction and was adapted into a television movie. Her novels have been published in more than thirty countries. 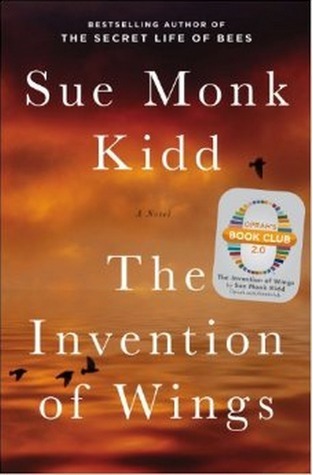 She is also the author of several acclaimed memoirs and the recipient of many awards, including a Poets & Writers Award. She lives near Charleston, South Carolina. What happens when a dental zoologist flies to Botswana to give a rare albino hippo a root canal? She lands smack in the middle of a diamond smuggling ring and right in the way of an undercover agent for International Diamond Security—one who knows firsthand the horror of conflict diamonds. Determined to bring down the cartel, he accepts the veterinarian’s help. But when the past catches up to him and the stakes skyrocket, he must risk all to save her from an evil that has haunted him for fifteen years. A: In my mid-twenties I had a unique job offer in Alaska. So I up and moved. In December. Totally a spur of the moment decision, but ended up spending 4 years there. It was pretty much fantastic, but winters were a bit challenging. I needed something to distract me from the intense cold and perpetual dark and since I’ve always been an avid reader, I figured writing a book was just the thing. So I wrote a historical romance, complete with a dashing sea captain hero. It was awful and I gave up on the idea of being the next NYT best seller. But a funny thing happened. The urge to write never really left. Time passed, I traveled a lot more, and eventually settled in Nashville, TN where I tried my hand at it again. I got smarter this time around though and took classes, and in 2002 I joined Romance Writers of America. Q: Have you developed a specific writing style? A: When I first started writing, I was devouring historical romances. So naturally, I thought that is what I’d write. My first couple attempts at a novel were set in 1812. Tall ships, sea captains, and smugglers. When I got brave enough to let others read my story the feedback was pretty consistent and along the lines of …Have you ever thought of writing contemporary? Turns out, I didn’t have the voice to write historical, no matter how much I loved reading them. But it’s all worked out for the best. Contemporary is my game. I write romantic intrigue and suspense, high-stakes adventure, and all with a strong dose of humor. I can’t help the funny bone, it just happens. Q: What do you consider the most challenging part about writing a novel, or about writing in general? A: Believe it or not...new words. They are hard. Ideas are easy to come by. Revising, editing, and restructuring, I love, love, love to do. Getting brand new words down in a logical and interesting manner is surprisingly difficult. They don't just flow from my fingertips to the keyboard. Most of the time I have to yank them out. But when the floodgates open and a scene pours out, that is the absolute best feeling in the world. A: I grew up believing we were part gypsy. Seriously, we constantly moved. And not just across town, we moved across the USA, multiple times. I grew up on the move, kept it up on my own, and even though I've finally settled and grown roots, travel is an absolute necessity in my life. I believe it enriched and empowered my writing too. It certainly gifted me with an intense curiosity of all places yet unseen. Maybe I am part gypsy after all, because even my stories go places. My debut book, DIAMOND LEGACY is set in Botswana, Africa. Book #2 is in St. Lucia, West Indies, and book # 3 will be in Northern Australia and Singapore. I've learned that story setting is every bit as important as my characters. None of us can seem to sit still, no matter what. Q: What is your favorite quote, by whom, and why? A: The Other Side of Fear, is Freedom. I don’t know who said it, but those few words have such powerful meaning. I keep them in a visible place to remind me that no matter how nervous I get, take a deep breath and power on. Do you like stories set in unusual or exotic locations? How about unique or interesting occupations? Combine both, wrap them around romance and adventure, and that’s the kind of reading that takes you places! It’s also a style of writing for Monica McCabe. Always a bit of an adventuress, she’s lived in and explored places like Alaska, Hawaii, Montana, Florida, Mexico, California, Maine, Washington, Canada, and yes, even Las Vegas. At every location she seized the opportunity to explore, hike, camp, raft, canoe, fly, ski, scuba-dive, or zip-line. She’s climbed glaciers and ancient Mayan pyramids, dived shipwrecks and reef caves, camped in sasquatch country, drove across the USA three times, and is now working on gathering as many official stamps in her National Park passport as she can. So far, nineteen and counting. Also an avid reader, the writing bug bit her hard somewhere between Alaska and Montana. Slowing down enough to actually put words on paper took a while longer. 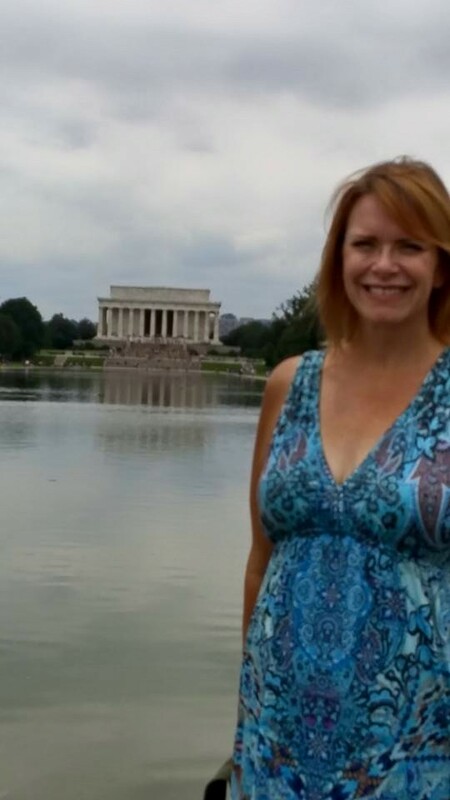 She scribbled notes, played at writing a historical romance (her favorite reading), but it wasn’t until she landed in Tennessee that writing became a passion. Now that she’s sprouted roots alongside her husband of seventeen years, tossed in two lazy cats and two happy dogs, she’s finally turned that wanderlust into crafting stories of adventure and romance. And all that travel and exploration lends realistic detail to her writing. Plus she’s been known to sneak in a bit of her own experience, and a pet or two, because they like the fame. As the most valuable asset in the kingdom of Wilhaiim, Malachi Doyle has many responsibilities—protector, assassin, detective, and King Renault's right-hand man. And until he met Avani in the cursed village of Stonehill Downs, he believed he was the last of his kind: a magus who can communicate with the dead. But Wilhaiim is left vulnerable when Mal and his page, Liam, are kidnapped and ferried across the Long Sea to a warring kingdom in search of its own magus. To make matters worse, a springtime plague is rapidly spreading, and beneath the earth the sidhe are preparing for war. With Mal missing and presumed dead, Avani reluctantly takes his place as Wilhaiim's magus. But her powers are unreliable and untested, her many allies are treacherous, and she is certain Mal is alive. Will she be able to keep Wilhaiim—and herself—safe? My mother was diagnosed with breast cancer when I was twelve. I was her helpmate and caretaker for my early adolescence and through into my thirties when she finally lost her battle. I changed her bedding, her diapers, administered meds. If I never accomplish anything else in my life, I’ll always be proud that I never faltered when my mother needed me. The things I write about where not things my father approved of. 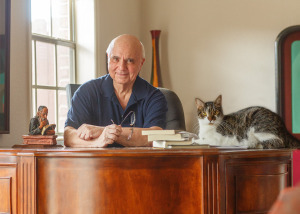 He once forbade me from reading fantasy or science fiction; the ban didn’t last long. As a child and as an adult I write what I like and don’t worry about approval. On the other hand, both my parents worked very hard. I have their work ethic. Writing is a job. I always meet deadlines and I always give my best to every project. I started writing in third grade after finishing The Hobbit. I knew I wanted to create worlds and characters as enthralling as Tolkien’s. If you put words down on a page, you’re a writing. I’ve always called myself a writer, even as I work two other day jobs. It’s not about being published or making money, it’s about telling a story or using words to create a mood. People. I like to write interesting characters and then test them with misfortune or adventure. Fnatasy, foremost. Then scifi and romance. Almost any fictional genre. Not mysteries. I don’t have the specific ‘logic bone’ needed to write mysteries, but I adore reading them. One of Elton John’s songs; The One. There’s a bit in that song about a beach. The lyrics stuck with me and a story sprang forth, one about a post-apocalyptic society living near a poisonous sea. Reading. I’m sure the authors I love to read and have been reading since childhood have all in their own way influenced how I tell a story. Choosing a book title. Definitely choosing a book title. Across the Long Sea was challenging in that I needed a believable medieval plague. I did a lot of research on plagues. I learned that they can be far scarier things than even I suspected from those days of studying the Bubonic Plague in high school. I very much appreciate modern medicine. I intend to continue to make writing my job. One of several I hold. I’m the sort of person who likes to do more than one interesting thing in a day. I work at the local elementary school; the children there help me remember that life is bigger than my computer screen. I think my style is always evolving. My strength is dialogue, but I’ve also been accused of having ‘lyrical’ prose. I’d like to think that as I continue to write I’ll steadily become a stronger story teller. I don’t give up or get frustrated. I never stop writing, and I keep looking ahead to the next book. I’m a generally peaceful person. Also confident but not self-obsessed. I’m a Holmes fan, but also I always find this quote reassuring. Whether you apply it to writing or human nature, it’s a relief to know it’s all been done before to varying results. In 1994 Sarah Remy earned a BA in English Literature and Creative Writing from Pomona College in California. Since then she’s been employed as a receptionist at a high-powered brokerage firm, managed a boutique bookstore, read television scripts for a small production company, and, more recently, worked playground duty at the local elementary school. When she’s not taking the service industry by storm, she’s writing fantasy and science fiction. Sarah likes her fantasy worlds gritty, her characters diverse and fallible, and she doesn’t believe every protagonist deserves a happy ending. Before joining the Harper Voyager family, she published with EDGE, Reuts, and Madison Place Press. Sarah lives in Washington State with plenty of animals and people, both. In her limited spare time she rides horses, rehabs her old home, and supervises a chaotic household. She can talk to you endlessly about Sherlock Holmes, World of Warcraft, and backyard chicken husbandry, and she’s been a member of one of Robin Hobb’s longest-running online fan clubs since 2002. Find Sarah on Twitter @sarahremywrites, and on Tumblr at huntpeck. 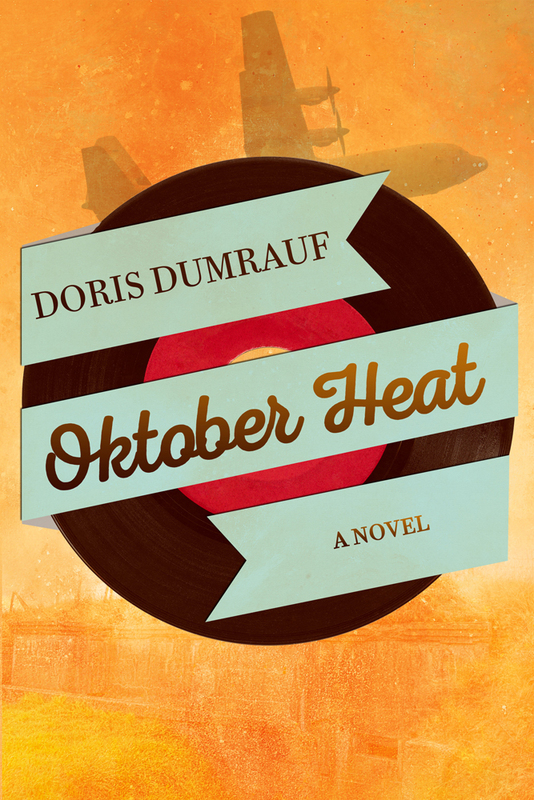 Doris Dumrauf grew up in the West German state of Rheinland-Pfalz, a region with a huge concentration of U.S. military bases. She worked as an administrative clerk on a U.S. air base for many years. After moving to the United States, Doris published numerous articles in magazines and newspapers while working on her novel. 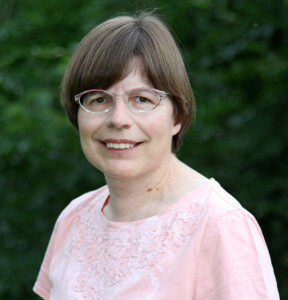 Doris Dumrauf is also an award-winning nature photographer and public speaker. Rebecca is a featured speaker/creative trainer for an annual women’s retreat in California, where she shares her experiences and provides writing ideas. She is also a volunteer for the Survivors Teaching Students: Saving Women's Lives ® program for the Ovarian Cancer National Alliance. Rebecca spent the majority of her life living on the edge of the shore, first on Whidbey Island, Washington and then in rainy Ketchikan, Alaska where she lived a waterlogged existence for almost thirty years. She currently lives in the Pacific Northwest where she enjoys road trips with her husband, hanging with her adult children, playing with her three Bichons—Scuppers, Scuttles, and Teeny Booty—and finding the humor in everyday life. Connect with Rebecca on Facebook. Find out more about Rebecca at Goodreads. Chemo on the Rocks is a shoreside seat on Rebecca (Becky) Durkin’s great Alaskan misadventure. It highlights the hilarity and heartache of a young girl who finds herself marooned in Ketchikan—fondly known as "The Rock"—where she remains on her self-imposed Alaskatraz for almost thirty years. Chemo on the Rocks is witty, inspirational, satirical, and sometimes terrifying. It is a mix of pain and laughter as Becky walks the IV gauntlet, trailing behind the unfettered back end peeking through the drab hospital gown of the man shuffling before her. Chemo on the Rocks is a hard-fought battle in the fallopian trenches where Becky wages war on ovarian cancer—the ultimate wedding crasher—as it invites an entire medical team into her honeymoon suite. She slays the cancer dragon and has two children in defiance of the beast, but just when it seems life has returned to normalcy, she prematurely crashes onto Mount Hysteria and wanders aimlessly through the Hormone War Zone in the Land of the Ovary Snatchers. 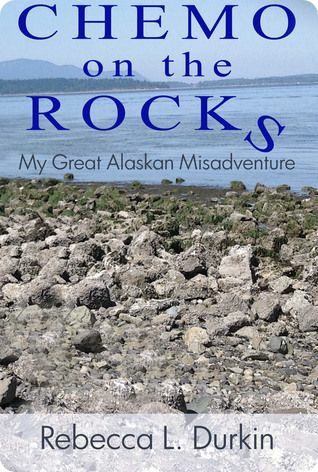 Chemo on the Rocks: My Great Alaskan Misadventure is available at Amazon. Thank you for the opportunity! I love to go on daytrips with my husband. I have a zippy little Mustang convertible perfect for exploring Washington State’s back roads. I grew up in Ketchikan, Alaska where the annual average precipitation is nearly 13 feet per year. Being able to drive with the top down is such a treat! I have three Poodle/Bichons, Scuppers, Scuttles, and Teeny Booty. They keep me busy and entertained with their antics. I also enjoy hanging out with my two adult kids, Jeffrey and MacKenzie. I started writing about fifteen years ago. I had no writing aspirations, but writing found me. It was my solace when the aftermath of having a deadly cancer caught up with me. I had no idea how to write a book, so it was a long process. A few things were pivotal. It’s hard to think of just one. First was when I realized that even though I never intended to be an author, writing is what I’m supposed to be doing. Of course, finding someone who believed in my story enough to publish my book was huge. Then, that moment—when after reading and editing until my brain and fingers hurt—I finally accepted my book was ready. I think the most pivotal point was when I knew how to write the ending. I would like to find a small cabin somewhere with a view of the mountains and some prancing goats and cows in the pasture. For some reason that peacefulness just takes me to a happy place. If I can’t find inspiration there, I’m not sure what I’ll do! Well, Washington State has set records for high temperatures lately. After living in Alaska for almost thirty years, this extreme ninety-degree weather has been brutal for me. I’m thinking I’d hop in the car and head for the ocean to feel cool breezes in my hair. It would be fun to set a story in a place I know nothing about. That way I would have the challenge of research to make sure I had all my facts straight. Maybe I’d just take a dart and throw it at a map and let the story begin where the dart lands. That being said, I do have many pages already written in my novel, Heaping Teaspoons of Sugar, which is set in Washington State. Back to your present book, Chemo on the Rocks: My Great Alaskan Misadventure, how did you publish it? I sent queries out to multiple publishers and agents. 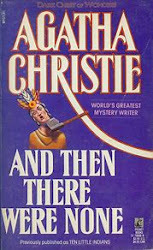 My dear friend and writing mentor suggested I send a query to Christine F. Anderson Publishing & Media. That turned out to be an excellent suggestion. Because my book is a memoir, my travels and adventures throughout my life all contributed to research. I did go back to Whidbey Island, Washington two years ago to make sure the places I remembered in my story were accurate. It was a great trip into my past. Why was writing Chemo on the Rocks: My Great Alaskan Misadventure so important to you? Initially it was a healing tool. It was excellent therapy to write about my experiences. Through the writing I realized how much I love humor. The ability to laugh at oneself and the joy of being able to share that with others is golden. I think it is important to provide hope to people who may be embarking on an arduous journey. If my story continues to generate laughter, inspire, and help raise awareness about ovarian cancer, then I have met my goal. I get my best ideas by observing people. They all become characters to me. The meanest, maddest, biggest and most boisterous are all fuel for a story. I think my ideas flow because I’m curious and inquisitive. Also, I like to write my thoughts about what’s happening when it’s happening. It is raw and fresh that way. A poem about what I see out my window, or perhaps when someone hurts my feelings, or better yet when something amazing happens. I love to put it all on paper. Thank you for the opportunity to share a bit about myself and about Chemo on the Rocks: My Great Alaskan Misadventure. I’m pleased that the Ovarian Cancer National Alliance allowed me to share an important brochure in the back of my book that tells about ovarian cancer symptoms. I donate a percentage of the proceeds of my book to them. On Ascension Day May 22, 838, Bishop Bodo, chaplain, confessor, and favorite of both his kin, Emperor Louis the Pious, son of Charlemagne, and Empress Judith, caused the greatest scandal of the Carolingian Empire and the 9th century Roman Church. 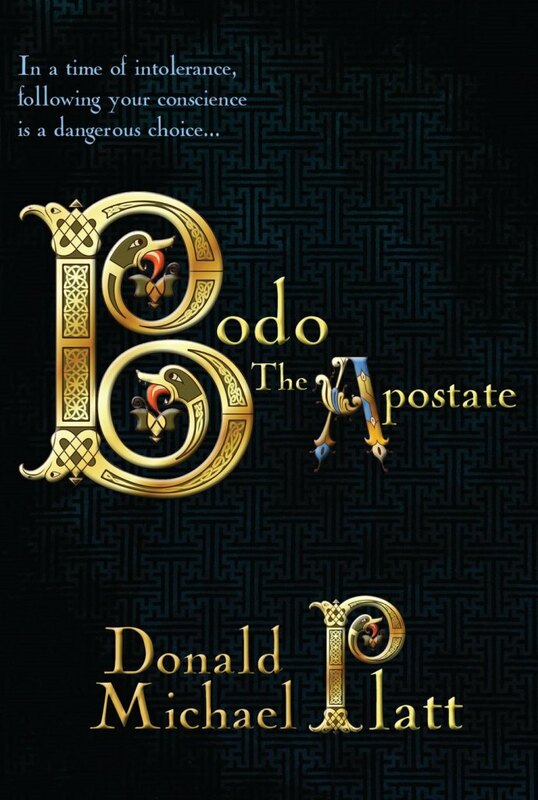 Bodo, the novel, dramatizes the causes, motivations, and aftermath of Bodo’s astonishing cause célèbre that took place during an age of superstitions, a confused Roman Church, heterodoxies, lingering paganism, broken oaths, rebellions, and dissolution of the Carolingian Empire. Author of four other novels, ROCAMORA, HOUSE OF ROCAMORA, A GATHERING OF VULTURES, and CLOSE TO THE SUN, Donald Michael Platt was born and raised in San Francisco. Donald graduated from Lowell High School and received his B.A. in History from the University of California at Berkeley. After two years in the Army, Donald attended graduate school at San Jose State where he won a batch of literary awards in the annual SENATOR PHELAN LITERARY CONTEST. Donald moved to southern California to begin his professional writing career. He sold to the TV series, MR. NOVAK, ghosted for health food guru, Dan Dale Alexander, and wrote for and with diverse producers, among them as Harry Joe Brown, Sig Schlager, Albert J. Cohen, Al Ruddy plus Paul Stader Sr, Hollywood stuntman and stunt/2nd unit director. While in Hollywood, Donald taught Creative Writing and Advanced Placement European History at Fairfax High School where he was Social Studies Department Chairman. After living in Florianópolis, Brazil, setting of his horror novel A GATHERING OF VULTURES, pub. 2007 & 2011, he moved to Florida where he wrote as a with: VITAMIN ENRICHED, pub.1999, for Carl DeSantis, founder of Rexall Sundown Vitamins; and THE COUPLE’S DISEASE, Finding a Cure for Your Lost “Love” Life, pub. 2002, for Lawrence S. Hakim, MD, FACS, Head of Sexual Dysfunction Unit at the Cleveland Clinic. Currently, Donald resides in Winter Haven, Florida where he is polishing a dark novel and preparing to write a sequel to CLOSE TO THE SUN. For more information please visit Donald Michael Platt’s website. Lady Nora Claremont hides her heartbreak behind the facade of a carefree courtesan. Viscount Westfall is the most confusing man she’s ever met. He seems to know exactly what she wants...and what she's thinking. Mia’s work was featured in the Best of 2010 issue of PEOPLE magazine. One of her books was on display at the Museum of London Docklands next to Johnny Depp memorabilia. 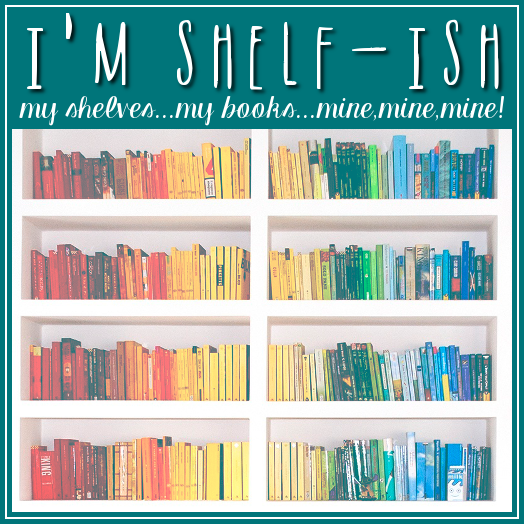 The RITA nominated author has over 25 books in print with more on the way! For more info, please visit http://www.miamarlowe.com! Dancing for Fun by Mark L. & Helena Greathouse Book Blast - Win a $25 Amazon Gift Card! Dancing is part of being human. Our earliest ancestors moved their bodies to the accompaniment of rhythms and chants. This urge to move, together with sounds or music, is part of our human nature. Dancing for Fun, the second in the series, presents dances in which you can express your deepest feelings together with music—alone or with a group of any size. Author Mark L. Greathouse, in collaboration with his wife Helena, offers original piano compositions and professionally written choreography for reference. Links to YouTube videos show one dancer in the group demonstrating each dance. The dances are original, folk-inspired, and contemporary, and they focus on one of the few ways anyone and everyone can engage in movement while simultaneously having fun and interacting with others. The online videos visually show how to perform the moves. The written choreography for each dance is presented in Dancing for Fun to match the dance exactly with the music. In this guide, the Greathouses offer the opportunity to learn to dance as easily as possible and have fun at the same time. Mark and Helena are an international husband and wife musical duo. Mark is from the United States and Helena is from the Czech Republic. Each began performing their art at age five in their respective countries. Over the years Mark progressed on the accordion and piano. Helena’s advancement included rhythmic gymnastics, competing in Europe and judging internationally for the Untied States. She judged at the Olympics, the Goodwill Games, and the Pan American Games. 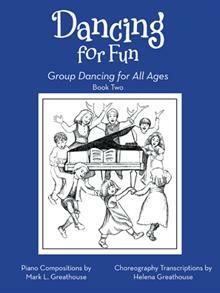 In recent years Mark has composed many piano pieces, some of which were choreographed for this book series Dancing for Fun. Mark and Helena have performed for many years, presenting a unique blend of Czech, Slovak, and other European folk songs as well as modern classics, cabaret numbers, selections from musicals, and Mark’s own songs. For more info please visit: www.greathouseofmusic.com. Mark and Helena are giving away a $25 Gift Card! This giveaway begins September 14 and ends on September 25. Winners will be contacted via email on September 18.